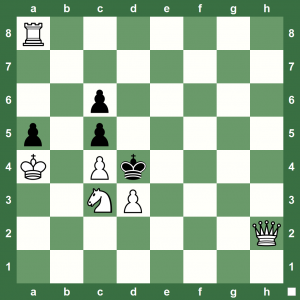 Brave-Calculation Chess Puzzle: What is White’s Strongest Continuation? Let’s get back to some strong and brave chess calculations. 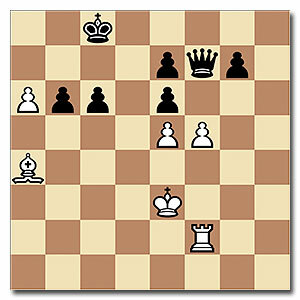 This position is from the game Shariyazadanov – Dobrov, Obwert, 2000. 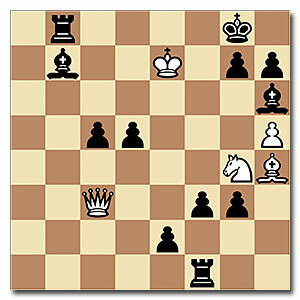 White found a nice forcing combination to win this game quickly. 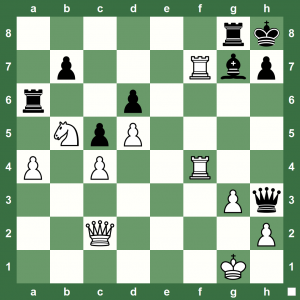 You might find a way to win, but what do you think is the strongest continuation for White? 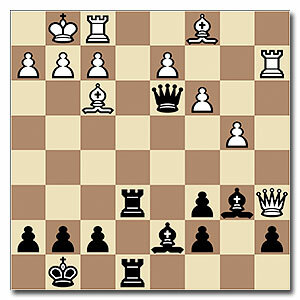 Here’s a position from the chess game Aronian vs Erik Pedersen. White has a super-strong pawn lodged at g7 protected by the Bishop on e4 which is unfortunately threatened by the Knight on b3. How did White win? 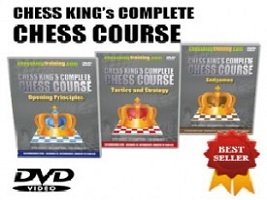 Have you been looking for chess training material – books, DVDs, computer software and even bought stuff, but nothing has helped? 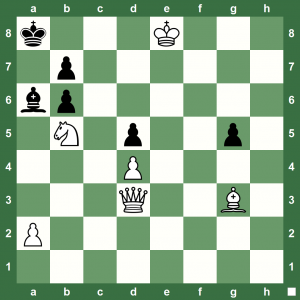 Do you browse chess shopping sites and feel everything is too costly? Training can be quite a load on your pocket, particularly if you are looking to get to the master level. 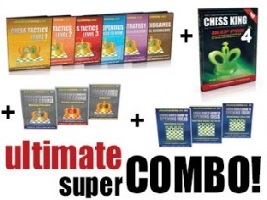 Finally, here’s a set of 13 discs that is all you will ever need to become a Grandmaster – a strong one at that! All of that at a 50% discount for a short while at $199.95! Black plays and wins. From the game Romieux – Kosteniuk, Paris 2008. 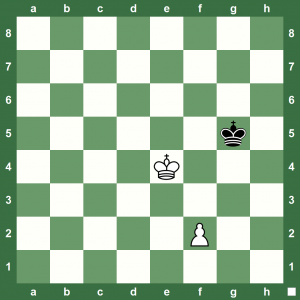 Chess King chess puzzle pick of the day is a checkmate in four. 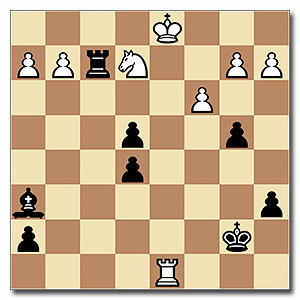 White to play in this study created by Captain W.D. Evans. 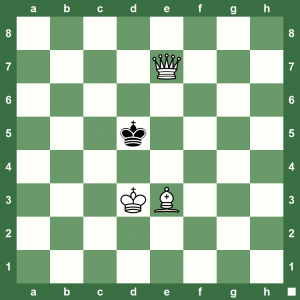 A tricky checkmate in three for this Chess King study created by Vladimir Nabokov. 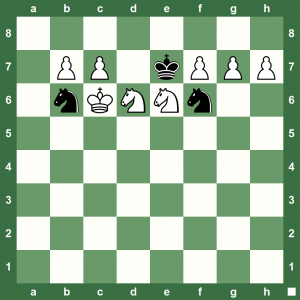 This chess position featured in Nabokov’s 1970 book that included poems and chess puzzles. 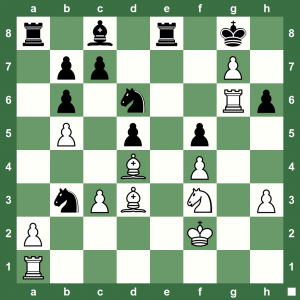 Magic Move Chess Puzzle: Find White’s Killer Move! 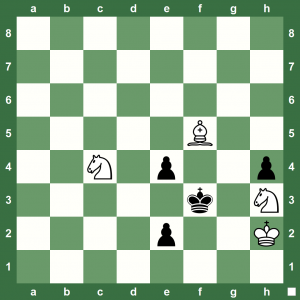 This cool chess position is from the game Hillarp Persson – Ward, 2004. Of course White has a nice positional hold over the position and could win in a couple of ways. But, what’s the killer move that gave White a cool immediate win? Yes, what’s the magic move for White? Solution of Christmas Competition Position 2. Taken from a game Paulsen – Morphy, New York 1857. Find Black’s next move. Watch the very nice podcast video via www.chesskillertips.com. Have you downloaded all videos yet? 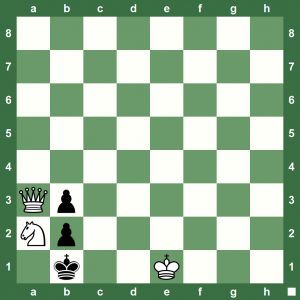 Here’s a smart three-minute checkmate in two for you. White plays. Can you solve it? This remarkable chess study is by Henry William Barry who was a violin teacher of Irish descent. He was also the chess study/problem editor of the “American Chess Bulletin” for 25 years. 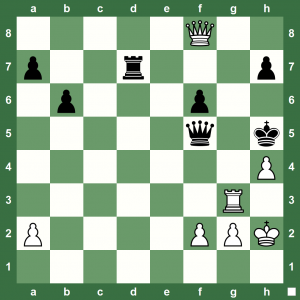 In this study, White to play and checkmate in two! Commented Chess Video: Tandem (Men vs Women) Blitz! A tandem chess game Men (GM Bareev + GM Ponomarev) against women (GM Kosteniuk + IM Skripchenko) played at the Golden Chess Blitz 2005 in Moscow. Commented by Chess Queen™ GM Alexandra Kosteniuk.